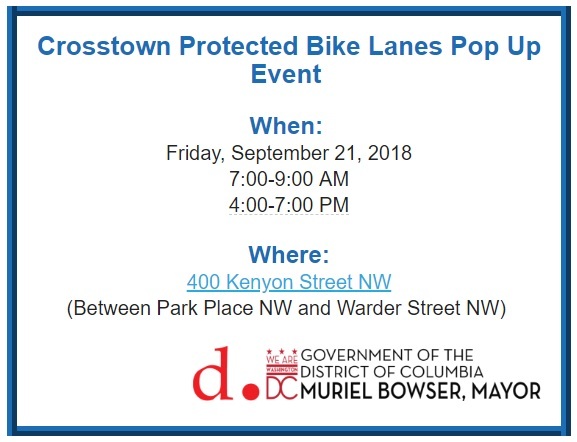 DC Protected Bike Lane Pop Up Event Schedule for Kenyon Street on Friday | Park View, D.C.
« Fall Fun Fest at Armed Forces Retirement Home Scheduled for September 30th! 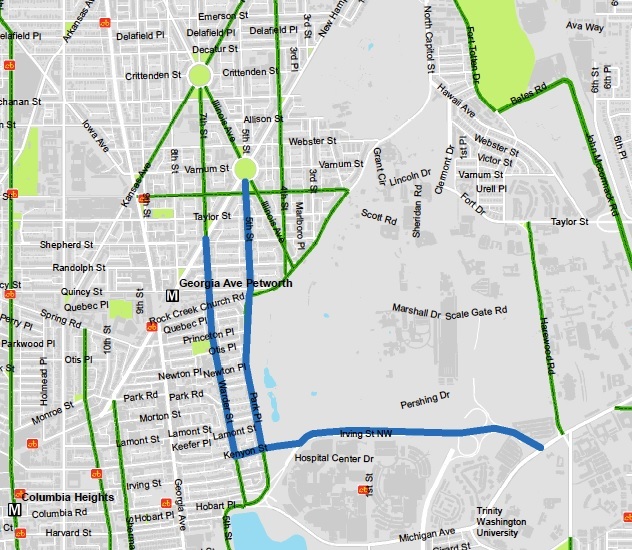 This entry was posted on September 17, 2018 at 1:07 pm and is filed under Bikes, DDOT, Streets and Trees, Transportation. You can subscribe via RSS 2.0 feed to this post's comments. I think I’ll wait for the Park Place pop-up event. They can do whatever they want on Kenyon.